I grew up in the San Francisco Bay Area, where I spent my free time skateboarding and thinking about uncountable infinities. These interests led me to study mathematics at Harvard University, where I was an undergraduate. When I realized that artificial intelligence can provide tools to solve a variety of problems, I joined the Harvard Intelligent Probabilistic Systems group. 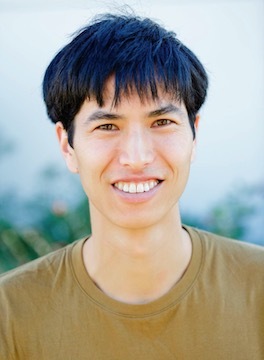 I am broadly interested in applied math, machine learning, and optimization, and I am currently a member of the Statistical AI Lab, the AMPLab/RISELab, and the Berkeley AI Research Lab at UC Berkeley. I am currently working on Ray, a high-performance distributed execution framework for AI applications. Ray: A Distributed Framework for Emerging AI Applications. Philipp Moritz, Robert Nishihara, Stephanie Wang, Alexey Tumanov, Richard Liaw, Eric Liang, Melih Elibol, Zongheng Yang, William Paul, Michael I. Jordan, and Ion Stoica. RLlib: Abstractions for Distributed Reinforcement Learning. Eric Liang, Richard Liaw, Philipp Moritz, Robert Nishihara, Roy Fox, Ken Goldberg, Joseph Gonzalez, Michael I. Jordan, Ion Stoica. Flexible Primitives for Distributed Deep Learning in Ray. Yaroslav Bulatov, Robert Nishihara, Philipp Moritz, Melih Elibol, Ion Stoica, Michael I. Jordan. Real-Time Machine Learning: The Missing Pieces. 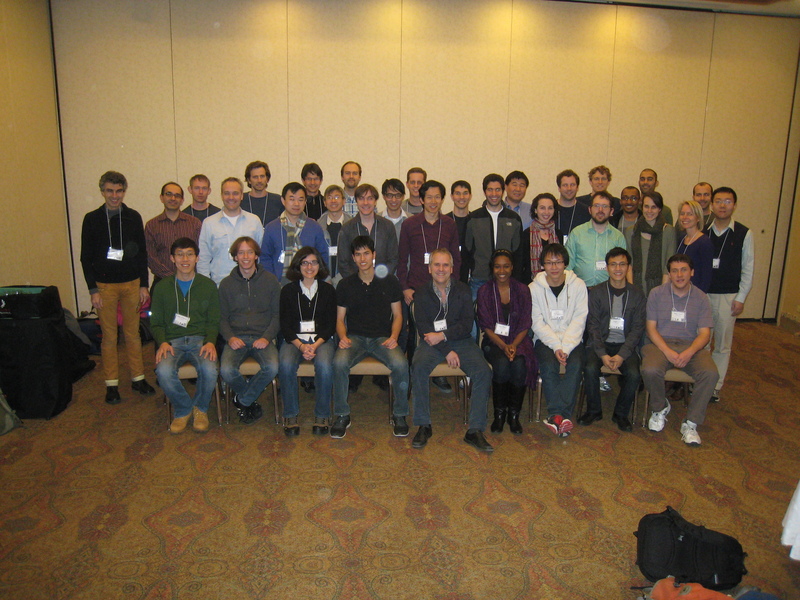 Robert Nishihara, Philipp Moritz, Stephanie Wang, Alexey Tumanov, William Paul, Johann Schleier-Smith, Richard Liaw, Mehrdad Niknami, Michael I. Jordan, Ion Stoica. David Lopez-Paz, Robert Nishihara, Soumith Chintala, Bernhard Scholkopf, Leon Bottou. SparkNet: Training Deep Networks in Spark. Philipp Moritz, Robert Nishihara, Ion Stoica, Michael I. Jordan. Robert Nishihara, David Lopez-Paz, Leon Bottou. A Linearly-Convergent Stochastic L-BFGS Algorithm. Philipp Moritz, Robert Nishihara, Michael I. Jordan. A General Analysis of the Convergence of ADMM. Robert Nishihara, Laurent Lessard, Benjamin Recht, Andrew Packard, Michael I. Jordan. On the Convergence Rate of Decomposable Submodular Function Minimization. Robert Nishihara, Stefanie Jegelka, Michael I. Jordan. Detecting Parameter Symmetries in Probabilistic Models. Robert Nishihara, Thomas Minka, Daniel Tarlow. Parallel MCMC with Generalized Elliptical Slice Sampling. Robert Nishihara, Iain Murray, Ryan P. Adams. The Rainbow Game is played by a team of seven. Each player gets a hat, which can be any one of the seven colors red, orange, yellow, green, blue, indigo, and violet. The colors of the hats are independent of each other and repetitions are allowed: for instance, it may happen that all the hats are green. Each player can see only the colors of the six hats worn by the rest of the team; no player can see the color of his or her own hat. The players are to guess the colors of their own hats, and if at least one player guesses correctly then the team as a whole wins. The players may not communicate in any way during the game, and they must all announce their guesses simultaneously. They are, however, allowed to plan out a strategy in advance, and they hope to find a strategy which will guarantee them success for every possible arrangement of hats. Is there such a strategy? Either find one or show that it cannot exist. (As a warm-up, try two players and two colors, or three players and three colors.) Taken from the 2006 Mathcamp Qualifying Quiz.